At Simon Associates we are committed to treat all our clients with the highest respect, understanding, and acknowledgment toward establishing mutual trust. We focus on building close client relationships that add long-term value. We will listen. As a small company we can be flexible and add the human element in creating solutions that work for you. No matter how large or small your issue we will find best solution working with you. Simon Associates provides personalized services customized to meet each of our clients' individual needs. We provide Professional Fiduciary services adhering to the Standards of Care set by the California Probate Code and provide Tax Professional services by adhering to regulations issued by the United States Treasury, Circular 230, that govern all Enrolled Agents. For our tax clients: We strive to earn your loyalty and become your trusted advisor. We keep up with current tax laws so we can prepare your return timely and such that you pay the least amount of tax for your situation. We aim to reduce the stress of filing and paying taxes. We treat you with courtesy and respect. For our Elders, their Families and Disabled individuals: Our purpose is to provide direction, consultation, and support services that promote your right to dignity, independence, and choice. We are dedicated to crafting personalized services that will enhance your quality of life, ensure your personal safety, and balance your need of independence and individuality. We will take all appropriate steps to identify, locate and protect your assets. We will act as fiduciary, representative, liaison, or advocate for those seniors, elderly individuals or disabled adults who are at a point in their lives when added support is needed. We work with a network of professionals from Wealth Management to Medical Practice to create an entire solution for your needs. Barbara's experience extends to working with professionally skilled medical, psychological, and financial practitioners on all levels. Originally from a financial, math, and science background, Barbara has been a skilled Tax Professional since 1988 and an Enrolled Agent since 1995. Barbara is a Fellow of the National Tax practice Institute, NTPI. Barbara expanded her practical skills into care management in the early eighties with hands on experience with many types of therapies, medical conditions, and arranging of home care. This background provide her with a wealth of experience in setting up and monitoring innovative financial and care plans tailored to her clients needs. Today Barbara is one the original Charter members of PFAC: The Professional Fiduciary Association of California, who participated in it's founding in 1995. 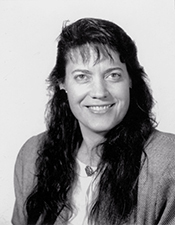 Serving on the PFAC Board from 1996-2000 Barbara was responsible for setting up the website and the original collaboration with Cal-State Fullerton for an education program to train fiduciaries. She was one of the first teachers in the program as well. Barbara served as San Francisco chapter chair for nearly 10 years in charge of education and the informal contact with the San Francisco Probate Court. Additionally, Barbara served on the committee of Private Fiduciaries who developed and presented to the SF Probate Court classes for incoming family Conservators. Barbara has continued to teach these classes for the past 10 years. Barbara has chaired the program for the annual PFAC Conference three times and serves on the program committee several more years. The PFAC conference has grown from 60 participants in 1996 to over 500 in 2012. Barbara has developed and taught taxation subjects for organizations such has CSTC, California Society of Tax Consultants, CSEA, and California Society of Enrolled Agents. Barbara currently serves on the California State Bar Taxation law Advisory Commission, as the public member. © 2019 Simon Associates All Rights Reserved.